Dr. Frederick William Danker of St. Louis, the world’s leading authority on New Testament Greek, has chosen Heritage Christian University as the repository for his extensive personal and professional library. Initial materials from Danker included more than 2,600 books, 2,000 journals, and 700 files. Materials ranged in date from the early 17th century to the latest Greek-English Lexicon of the New Testament, and the collection included materials in biblical studies, theology, ministry, language, and classical literature. Danker is a renowned classicist and theologian. He is the author of numerous books and commentaries, most notably The Concise Greek-English Lexicon of the New Testament. 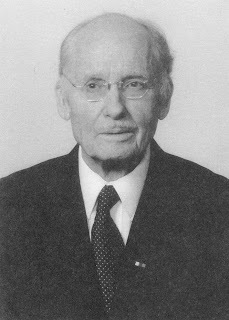 Danker is a former educator at Concordia Seminary, Christ Seminary-Seminex, and the Lutheran School of Theology at Chicago, from which he retired in 1988. He is published in numerous collections and periodicals and continues to be a much sought-after expert in biblical scholarship. The Sisters of Sinai: How two 19th century Scottish sisters discovered early copies of the Gospels. In February of 1892 Agnes Smith Lewis and her sister, Margaret Dunlop Gibson, were visiting St Catherine's monastery on Mount Sinai. While there they had an opportunity to look at a number of ancient manuscripts. Unusual for their time, the two sisters had a remarkable command of modern and ancient languages. Their father had once promised them that for every language they learned he would take them to that country, so they we were quite well traveled too. While looking at the manuscripts, Agnes came across a very old one written in Syriac. The writing dated from the 8th century and appeared to be some form of ladies poetry. But what caught Agnes' attention was the faint words behind the poetry. In a very ancient hand was an older Syriac text that named the four Gospels. Agnes had discovered a palimpsest, a codex or scroll that had been scraped and washed clean and then written over again. It was an early form of recycling. What Agnes had discovered was a "scraped" or "washed" manuscript of the Gospels from the fourth century. While the Syriac on top was 1100 years old, the faded words from the New Testament Bible below was 1500 years old. They had discovered our oldest copy of the Gospels written in Syriac now known as the Lewis Codex or Syriac Sinaiticus. 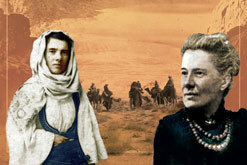 Janet Soskice from the University of Cambridge has written a book about these two women and their major discovery. It is called The Sisters of Sinai: How Two Lady Adventurers Discovered the Hidden Gospels. You can read the first chapter and some of the second on Amazon. The Cambridge Faculty of Divinity web site has posted an 8 minute video interview with Soskice in which she describes the two sisters, their discovery and what it was like for women like them in the nineteenth century. They were more Indiana Jones than Harrison Ford. One thing that I remember hearing over and over again at youth retreats was that I should not be like the church at Laodicea. That church is addressed by Jesus via a letter in the book of Revelation. 3:14-22. The recipients are told that since they are neither hot nor cold, but lukewarm, Jesus is about to spit them out of his mouth. 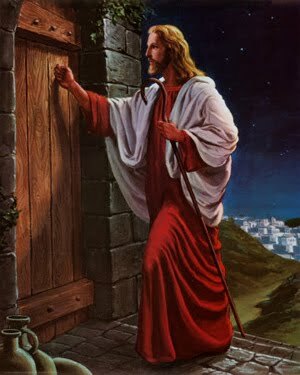 This is also the passage that ends with Jesus saying that he is standing at the door knocking, waiting to be let in. Pretty graphic stuff for a teenager. Some New Testament scholars have suggested that the lukewarm statement is a play on words alluding to the city’s water supply of the city, which was lukewarm, in contrast to the hot springs at nearby Hierapolis and the pure water of Colossae. Laodicea had an aqueduct that carried water from hot mineral springs five miles south, which became tepid by the time it reached the city. The imagery of the Laodicean aqueduct suggests not that "hot" is good and "cold" is bad, but that both hot and cold water are useful, whereas lukewarm water is useless. Well, it seems that the church at Laodicea is no longer lukewarm because it is underground, literally. Archaeologists have discovered the structure of a church using ground penetrating radar. The remains of the church are about 2000 square meters. This structure is not from the first century and did not, therefore, house the congregation being addressed in Revelation. I doubt very much that group had a designated building. No, this building is from the fourth century, around the time Christianity became legalized in the Roman Empire. What it does demonstrate, however, is that Laodicea continued to be an important center for Christianity for hundreds of years after John wrote Revelation. I suppose that means that they were never spit out. You can read the full article about the discovery here. Thanks to Antonio for highlighting it. Lat week I wrote about the status of the childless woman in ancient society. This week we look outside of the marriage and family setting to see how a childless woman/couple would have been perceived by society. As in the Hebrew Bible, a childless marriage led to the fear that the couple had been rejected by the gods or had committed some type of sin that prevented the woman from conceiving. A prayer to the Mesopotamian moon god Sin asks that the petitioner be reconciled to Sin and be granted children. In a similar prayer to Ishtar a Mesopotamian woman asks for forgiveness of sin and the blessing of offspring. At times one or both of the couple would make a vow to the deity in the hopes that they would be granted children. But relief was not necessarily found in conception and birth. Even if the woman was successful in becoming pregnant and giving birth, any irregularities during the pregnancy, a difficult birth, and a stillborn or handicapped child were all interpreted as the result of some sin committed by the woman. All of these circumstances conspired together to compound the social pressure and personal despair felt by the childless woman. “The woman who remained childless not only ran the risk of being disdained, or worse, repudiated by her husband and in-laws, she also incurred the suspicion of indecent behavior”. If she was unable to conceive and bring a healthy child to full term, it was assumed that she had either been rejected by the gods or was guilty of some sin. The focus on the infertile couple fell predominately on the woman. While perceived physical and/or spiritual defects played a large part in stigmatizing the childless woman, there was a social aspect that contributed to the pressure the woman felt. The status of a childless woman living in the home of her husband was ambiguous. Although she may be the primary wife, the lack of a child threatened any social or financial guarantees that could normally be expected by fertile wives. The lack of an heir not only jeopardized the future of the husband’s inheritance, it made the woman vulnerable if or when her husband died. Without children, particularly a son, the woman lacked social and financial protection. The primary function of marriage was to produce an heir. Throughout the Ancient Near East marriage facilitated the orderly transference of property (land or otherwise) from the father to a son. Therefore, while being a mother was a good thing, being the mother of a son who was also an heir was even better. Since women often were married to older men the likelihood increased that a wife could live many years after her husband’s death. In the patriarchally dominated society of the ancient world, a woman’s social and financial survival was often predicated on her relationship to a male figure. Prior to her marriage that figure was usually her father or an older brother. Once married, responsibility for the woman shifted to the husband. But if or when the husband died, the woman would most often be cared for by her son(s). As the heir, her son would not only assume responsibility for his father’s property but also for his mother. A woman’s status within the household was linked to her son and a mother would often promote her son in order to secure her own status (cf. 1Kings 2:19). Laws of inheritance, particularly in the Bible, depend on the heir living in the house. If the wife was not the mother of an heir, then her status was ambiguous. If, for instance, her husband had a son to another wife it was that woman’s son who would be the heir and that woman who would most benefit from the social and financial protection offered by the son. An example of this state of affairs is found in biblical legislation. Deuteronomy 21:15-17 protects the rights of the firstborn son who is to receive a double portion of the father’s inheritance. But it also describes a hypothetical situation in which a man has two wives, both of whom bear him a son, yet one wife is loved and the other hated. The injunction in this circumstance prevents the man from giving the firstborn rights of inheritance to the son of the loved wife if that son is not in fact the firstborn. Consequently, the favored wife’s status is only as secure as her husband’s support for her while he is alive. Once he is dead the unloved wife and her son benefit the most from the inheritance based on the law of the firstborn. The favored wife and her son, although receiving a portion of the inheritance, diminish in status once the husband/father has died. There were, of course, a number of options that a childless woman/couple could employ to rectify their circumstances and not every situation was the same. But what is important for the current study is an appreciation for the ambiguous status of the childless woman. Without a child, a son in particular, her position in the marriage as primary wife was not necessarily fixed and therefore she was in danger of either being replaced by her husband with another wife, or pushed aside by a subsequent wife who did produce a child who was also the heir. With this in mind, we may now consider what options were available to a childless woman and how even these options did not always remove her ambiguous status but sometimes made her position even more delicate. Furthermore, while some of these options may strengthen the wife’s position, they created a new set of circumstances with another woman whose status is also ambiguous within the household. Next week we will look at what options were available to people in antiquity. K. Van der Toorn, Sin and Sanction in Israel and Mesopotamia (SSN; Assen/Maastricht: Van Gorcum, 1985), 86. Marsman, Women in Ugarit and Israel, 196; Van der Toorn, From Her Cradle to Her Grave: The Role of Religion in the Life of the Israelite and the Babylonian Woman, (Sheffield, Sheffield Academic Press, 1994), 80. Van der Toorn, Sin and Sanction in Israel, 86-87. Van der Toorn, From Her Cradle to Her Grave, 79. Steinberg, Kinship and Marriage, 6; G. Robins, “Women and Children in peril,” KMT: a modern journal of Egypt 5 (1994/5): 24-26. Katherine D. Sakenfeld, Just Wives? : Stories of Power and Survival in the Old Testament and Today Louisville, Westminster John Knox Press, 2003), 13. Marsman, Women in Ugarit and Israel, 54. Marsman, Women in Ugarit and Israel, 240-41. Steinberg, Kinship and Marriage, 26. This scenario assumes that there is only one eligible son. There were a variety of firstborn inheritance rights in the ANE and not all of them were granted to the biological firstborn (Isaac Mendelsohn, “On the Preferential Status of the Eldest Son,” BASOR 156 : 38-40). The Hebrew Bible, however, is particularly interested in the rights of the firstborn as reflected in the stories in which Esau sells his birthright to Jacob (Gen 25:29-34; 27:36) and the midwife tying a red thread on the arm of the firstborn of Tamar’s twin sons Zerah and Perez (Gen 38:27-28) (Jeffery H. Tigay, Deuteronomy [JPSTC; Philadelphia: Jewish Publication Society, 1996], 195-96). 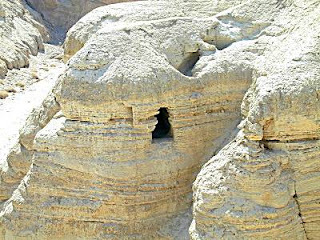 Who wrote the Dead Sea Scroll? Loren Stuckenbruck on the Essene hypothesis. I ran across a page on YouTube set up by St. John's College Nottingham. the page is called Theology and Timeline Videos and features a number of short videos on a variety of topics. Richard Bauckham, Graham Stanton, Tom Wright, Larry Hurtado and others give short overviews on a number of topics related to theology and biblical studies. I have already used some of them for my online classes since it gives my students a chance to hear from other scholars. The video on the Dead Sea Scrolls provides an overview of how the scrolls were discovered and what scholars have learned. One topic that has been argued over the years is who wrote the scrolls. Initially it was supposed that they were written by the Essenes, a Jewish separatist sect. Others, like Norman Golb, have suggested that there is no evidence for the Essene hypothesis. Loren Stuckenbruck, my Doctor Father from Durham, provides some reasons for why the Essene hypothesis is the best guess for who wrote the scrolls. 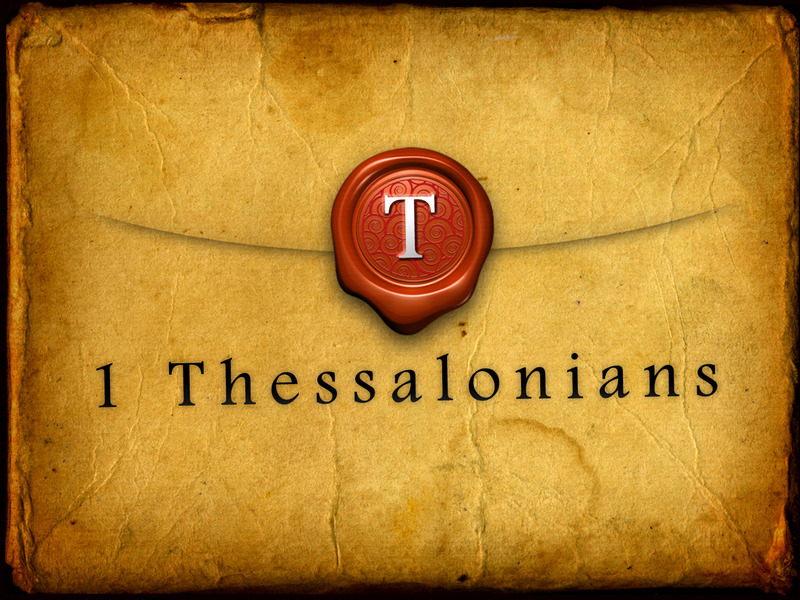 Teaching Thessalonians: Any suggestions for a textbook? 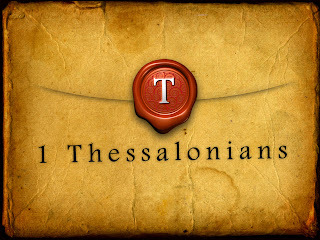 I am preparing my syllabus for the spring term during which I will teach Greek exegesis of 1 & 2 Thessalonians. The class will translate a chapter a week as well as prepare a series of exegetical observations and exercises. Although I have taught the course a number of times, I am giving it some fresh attention because I am using it as prep work for the commentary I am writing on these two epistles. What I am unsure of, however, is what to use for a textbook. I will require them to purchase at least one commentary. They will be able to choose from Fee, Malherbe or Wannamaker. They will also have a selection or articles and essays to read. But I am unsure of what to adopt as the primary textbook. I am considering DonFried's Paul Thessalonica and Early Christianity, but have not made a final decision. Are there any suggestions from others? Are you aware of or have used a particular book that will give good introductory coverage of these two letters? I would be happy to hear your suggestions for either a textbook or any readings that you think would be helpful.